The Diwan-I-Aam gives access to the second enclosure, a large quadrangle where all the major functions of the palace were held. 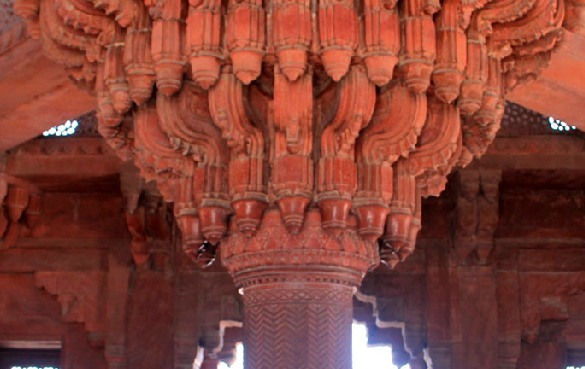 It is one of the finest buildings of Fatehpur Sikri. At the northern end is the Diwan-I-Khas, also referred to as the Hall of Private Audience. It is an astonishing chamber dominated by a massive carved pillar, which supports a fantastic capital above which is a balcony.